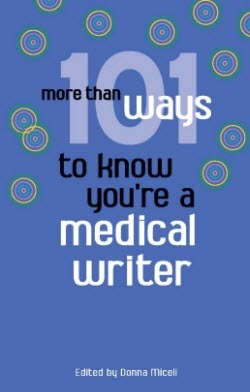 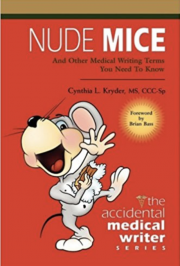 More than 101 Ways to Know You’re a Medical Writer conveys the surprising ways that being a medical writer can change personal behavior and views of the world. 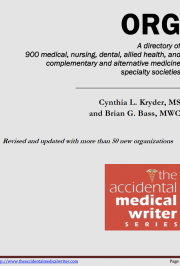 A first compilation of medical writers’ voices, this book is a quick and fresh snapshot not found elsewhere. 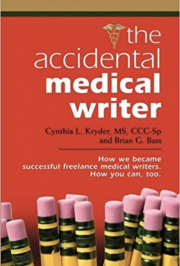 This book shows the world how the profession of medical writing involves intelligence, resourcefulness, and tenacity–at all times sprinkled with a good dose of humor, dry and otherwise.